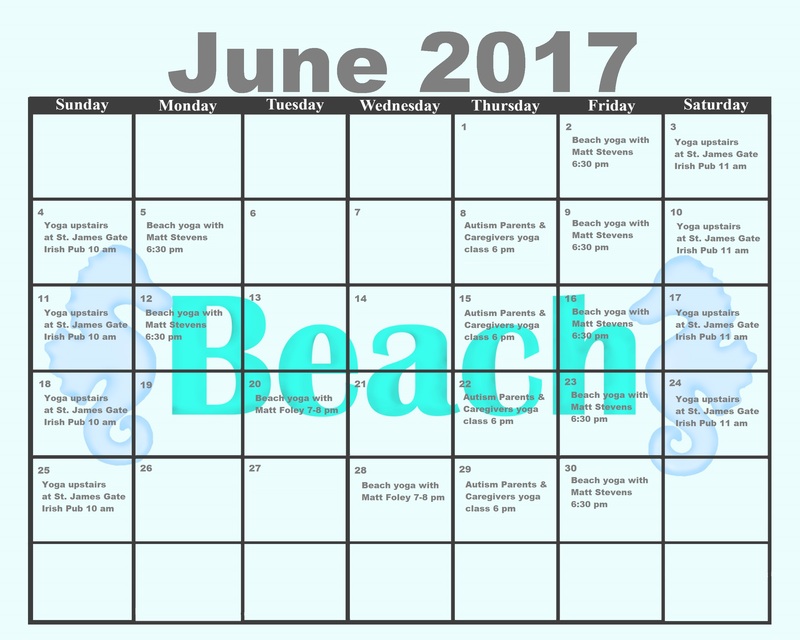 Right click the photo to print a full sized printable 8 X 10 inch calendar of our beach yoga class, classes upstairs at St. James Gate Irish Pub, and events around the Charleston and on Folly Beach for the remainder of June 2017. Classes are $12. Class passes can be reserved online or at the class to save 10% or more.